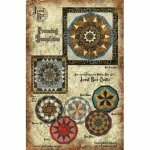 Contains paper pattern templates to frame the ten sided quilts made with the Jewel Box tools such as the Moroccan Tile, Sundial, Banded Agate, Water Wheel, Ruby Ring, and Swirl. It includes three options: without border, 2" border, or 3" border. For more information on framing the Jewel Box Gem quilts, click here. Special Offer: Free with purchase of any Jewel Box pattern or the Jewel Box tools. For Framing the Junior, Petite and Mini sizes, the framing templates are included with the tool. Click here to see the Jewel Box Junior Tool. 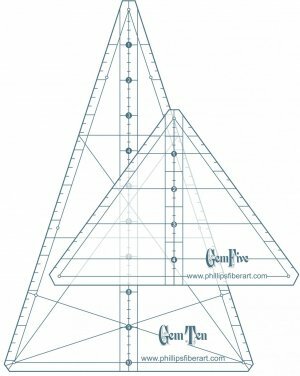 You must Add To Cart to get the free Framing Pattern! more Jewel Box framing instructions.